Posted on April 16, 2019 by Andrea Eygenraam | Comments Off on EBOOK now available! We offer these structures with 17′ wide hoops at 6′ increments. Ultimate in Low Cost, Portable Season Extending Greenhouses. At 6’ rib spacing, these structures are not intended to, or capable of handling very much snow load. This tunnel can handle greater loads by simply reducing the rib spacing and/or increasing the length of the anchor pegs. 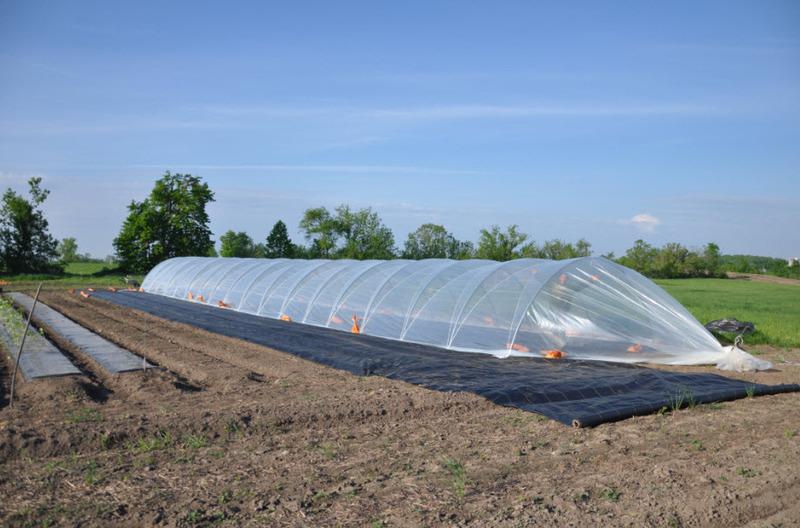 Please see our Hanley Caterpillar Greenhouses page as well as our recently published article about Hanley Season Extension for more information and don’t hesitate to call us with any questions regarding this unique application.